Good Bye Forever and oh. 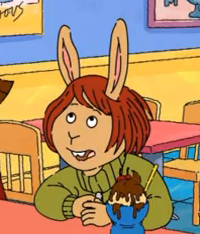 You have to wait a year before you can return to Arthur Wiki. And hope you are immortal to come back to wikia. Because no one likes you. You are a pain. I'm not going to leave here. Good Bye, So Long, Fare Well, Cheer, au revoir, Adios, Chow, Sayōnara, and enjoy the site being shout down forever. And several peoples closed their account?